The post-apocalyptic backdrop feels a little overused by this point, but The Bearded Ladies team managed to teach an old duck new tricks. Humans have done it again, we went and messed up the world with nuclear war. Now it’s up to mutant stalkers to scavenge a living from the ruins and survive this crazy new world. Unlike other games set in these lawless worlds, you play as Boarmin the Boar, and Dux the Duck, two walking, talking, shooting, productive members of society. Over time you will add more strange characters and critters to your band of mutated misfits, each with their own unique ways of clearing out baddies. The story is unique, albeit at times a bit cheesy and cliche, but full of charisma. The world is beautiful and exciting, but it’s the combat that will keep you coming back for more. Exploration mode will switch to a tactical, stealth combat system on the fly for a new, and innovative game-play style. 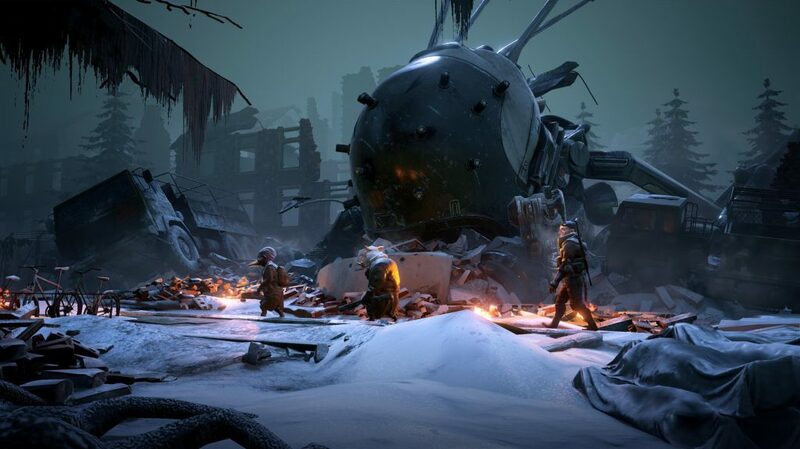 Mutant Year Zero is a tough, unforgiving game even on the easiest difficulty level. You will develop a habit of saving regularly! When you encounter a mob of enemies, you have choices to make. If you run in, guns blazing, you’ll more than likely end up riddled with holes. I found that I was constantly under-leveled and outnumbered. Instead, you’ll spend most of your time sneaking around the map, using your skills to pick enemies off one by one, setting the stage for the big fight to come. You can split the team up, placing them each in spots that give you the most significant advantage. Planning is a must, once guns start going off things can go south fast for the unprepared. Mobs can be summoned from out of the woodwork, enemies will hide behind cover, or sometimes you miss a crucial shot at a critical moment. Even with a ton of prep work, the unlucky may still find themselves face down in the radiated dirt. On top of it all, the game does little to help prepare you. There is a mini tutorial at the start of the game, but after that, it throws you headlong into lightning bolt throwing mobs. With little warning of new enemy abilities or tactics, even a well-made plan can go bottoms up real quick. As you level you gain mutation points, which unlock new and unique skills. One character can learn to charge, and knock down an enemy, stunning them for a few turns. This was particularly useful when I needed to pick off a straggler. I would then have the rest of the team proceed to make swiss cheese out of the dazed ghoul with silent weapons, so as not to alert the rest of the map. My demolitions expert learned to destroy parts of cover, giant walls, and even entire floors of a building, dropping enemies to the wreckage below, giving way for the rest of the team to pump them full of lead. As you stalk through the shadows of ancient ruins, you will come across weapon mods and scrap that you can use to upgrade and modify guns, giving combat exciting twists and turns. It’s a simple system that makes a world of difference. At times it made for great combinations, like a shotgun that shoots fire rounds! Other times, it was as if the game just allowed for anything to stick together regardless of how unnecessary or ridiculous it was, like a shotgun with a sniper scope. Simple, easy, and incredibly important, but perhaps not entirely thought out. Apparently no one told the world it was a post-nuclear wasteland, as each area is more beautiful than the last. From sprawling green forests to snowy white plains, each level has something new and exciting to offer. One moment you’re navigating ruins of lost human cities, the next your in a dark underground tunnel sneaking around abandoned cars. The music is beautiful and does a great job setting that dark and eerie tone the game perfects so well. The constant shift between the two modes, exploration and turn-based tactical combat is so beautifully executed you wonder why more games aren’t like this. When you’ve finished a mob, you know you only beat due to extensive planning and preparation the feeling is incredibly rewarding. Combine the unique game-play with the beautiful world and exciting story, and you have something extraordinary. 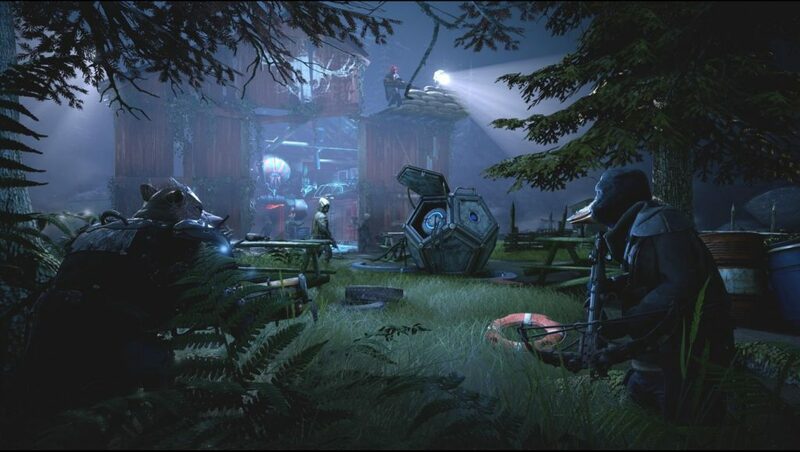 The only cons with Mutant: World Zero is the lack of helpful information. Enemy abilities, or even your own gun range, the knowledge that would make a difference in the planning phase. 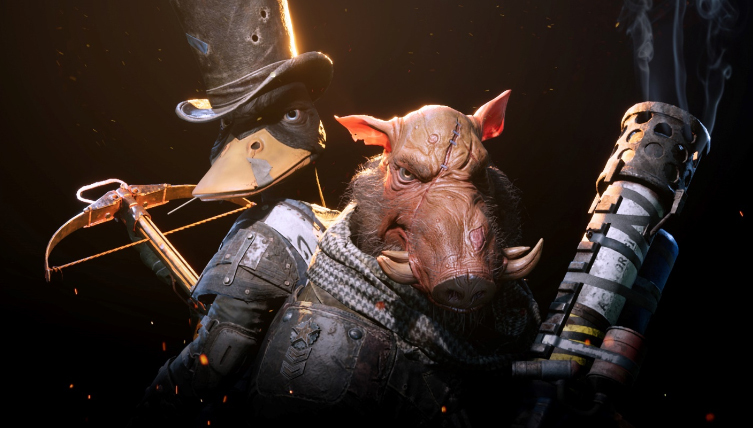 I give Mutant Year Zero 8.5 “What the ducks?” out of 10.